Jack White — man or myth? He is a guitar player’s player, with wailing leads and a raw tenacity that is harder and harder to come by these days. Did he sell his soul to the devil? Unlikely – White was actually going to be a priest before he discovered music, believe it or not. From his storied past with the White Stripes, to The Dead Weather, The Raconteurs, and plenty of solo material, White has been busy carving out a niche all his own. A man of many talents, he has had commercial success on guitar, vocals, and drums and has done everything from blues, garage rock, funk, and even movie soundtracks. This guy is the real deal, and possesses a sound that is so recognizable, you can easily tell it’s him within seconds. White was an absolutely pivotal player in the guitar-fueled rock revival of the early 2000s, proving that gritty guitars and minimalist musical approaches could still be both genuine and commercially successful. So much so, that at this point in his career he has garnered a staggering twelve Grammy awards for his own projects as well as contributions to other acts. Don’t be fooled though – while White’s approach to playing guitar is loose and bombastic, he is a rather innovative player and earned a spot at number 70 on Rolling Stone magazine’s “100 Greatest Guitarists of All Time” list. 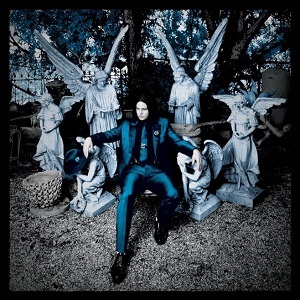 To top all that off, 2014’s Lazaretto not only debuted at number 1 on the Billboard 200 charts, but also holds a unique distinction as the album that broke the record for the most vinyl sales in its first week at 40,000 copies, beating out Pearl Jam’s 1994 album Vitalogy for that honor. 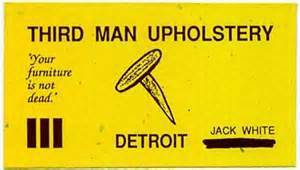 Jack White (John Anthony Gillis) was born the seventh son of ten children in Detroit, Michigan. He inherited a huge love for 1960s rock music and most importantly the blues that he discovered from his older brothers. White has said that he had begun playing the instruments that his older brothers had given up on learning. This included starting the drums in first grade after he had found an abandoned kit in the attic. White had an early penchant for classical music but quickly shifted his interest to bands like Pink Floyd, Led Zeppelin and old blues artists like Blind Willie McTell and Son House. At this point he was still primarily a drummer, and drew inspiration from greats like Stewart Copeland of The Police. His early family environment was heavily Catholic, with both parents working for the Archdiocese of Detroit. During an interview for 60 Minutes in 2005, White recounted how this religious upbringing almost landed him in a seminary in Wisconsin to become a priest, but he ultimately decided, “I’ll just go to public school.” Quite a good decision on his part, I’d say. Shortly thereafter, White began an upholstery apprenticeship with Brian Muldoon, a family friend, who began introducing White to punk music. This conglomeration of influences explains his unique approach to playing guitar, but at this time he was still primarily a drummer. It wasn’t until Muldoon and White decided to start playing music together that things changed. It turns out Muldoon himself was already a drummer, which prompted White to play guitar in the band instead. While he had already been playing for many years at this point, this was a big step toward playing guitar professionally. They formed a band called The Upholsterers, and released only a few tracks in total, famously inserting an occasional album inside of the furniture being upholstered. Several of these would later be discovered, sometimes even by fans themselves. 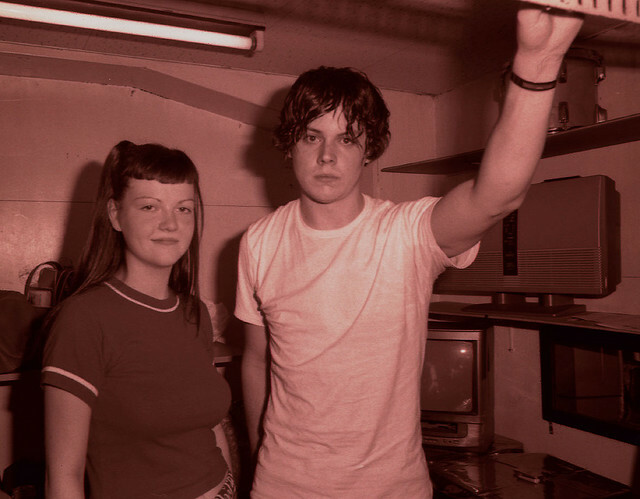 They became a band, first considering the names “Bazooka,” “Soda Powder” and “The Peppermints” because of Meg White’s love of peppermints, yet eventually they decided on “The White Stripes.” The band’s aesthetic was a kind of childish one, in part because Jack felt the imaginative ideas that kids have are usually much more valuable than adult ideas – hence the reference to candies in their name choices. To create more allure to their band, Jack and Meg acted as brother and sister, and dressed exclusively in black, red, and white. Purportedly, the color schemes help to ground White in the projects he is a part of, adding more depth and utilizing the inherent power that colors can bring. You’ll notice that in each project he focuses on certain colors — copper was White’s preferred color during his time in the Raconteurs — Jack even going so far as to send off all of his pedals to popular builder and modifier Analog Man to be copper plated. Went White went solo, his preferred color usually revolved around the color blue. While using colors in this way isn’t often done, it is quite effective in establishing a uniform feel for each project. Usually, White’s music videos for each era would use the color palettes to stark effect. Jack White has always been a man of simplicity when it comes to his gear, preferring to let his creativity and vision come through, rather than watering everything down. Too many players feel their effects are supposed to craft their tone for them. It really comes from the fingers, of course…You can do it with a piece of plastic, or a piece of wood. You see, you can buy a bunch of fancy equipment, but if you don’t have “it” inside you from the get-go, you’re not going to impress anybody. That being said, White is no stranger to incorporating effects into his chain, especially those that fit his need for over-the-top tones. 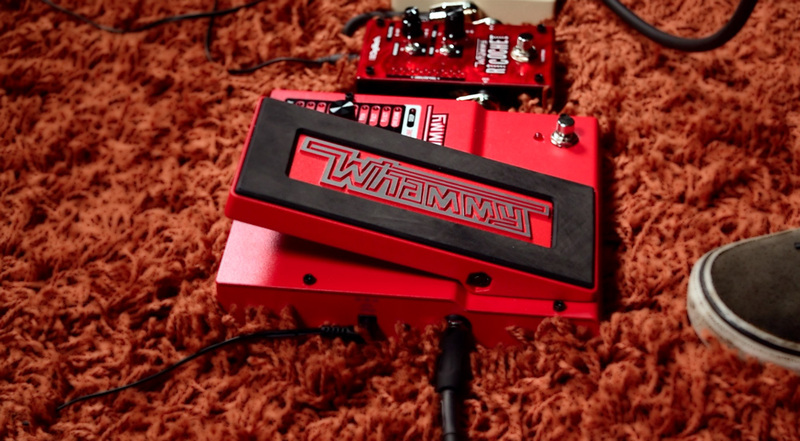 For instance, he incorporated a Digitech Whammy pedal after hearing Tom Morello from Rage Against the Machine use one. On the classic intro riff to “Seven Nation Army,” this was a Whammy pedal set to the octave down setting, mimicking a bass guitar. For seven years in The White Stripes, White only used a Whammy pedal and an Electro-Harmonix Big Muff Pi pedal to achieve all his sounds. 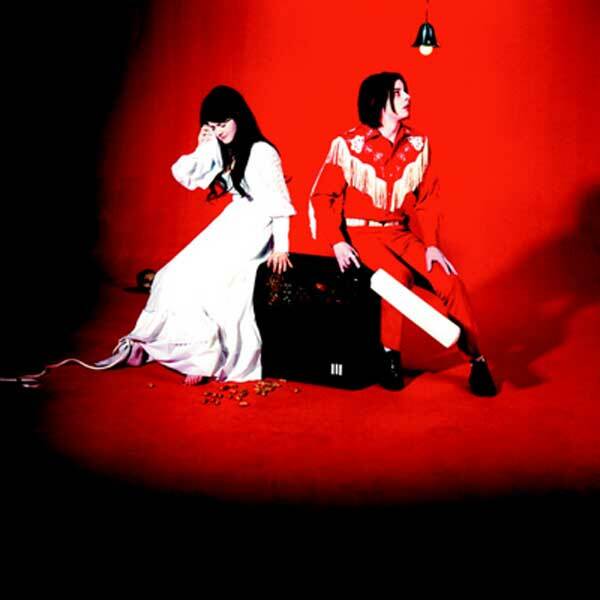 The Big Muff, especially on the first three White Stripes albums, in many ways was the Jack White sound – massive lows and an almost flubby tone that really helped fill out the band’s sound as a duo. This was absolutely necessary to create something that sounded much bigger. 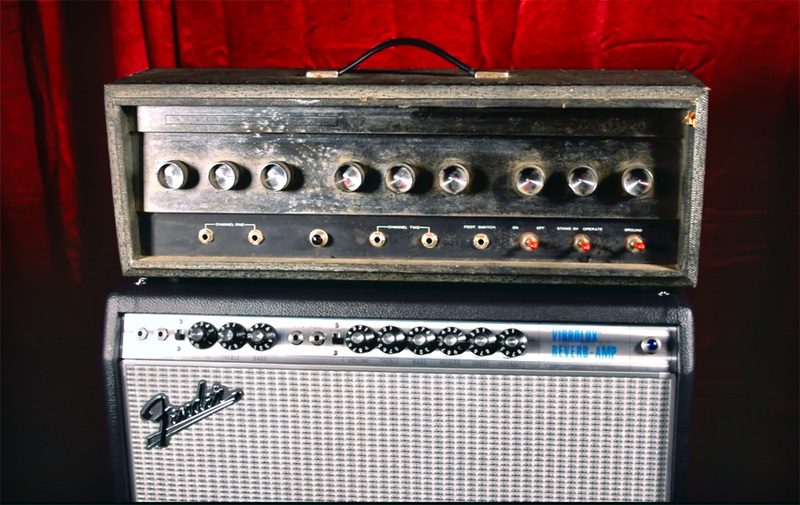 For his amps, he preferred to use a Silvertone 1485 amp head running through two 6×10 cabinets. He would blend in a Fender Twin Reverb in order to use its superior reverb sounds, feeling that the Silvertone’s reverb was “horrible.” Still, White preferred the thick crunch that only the Silvertone could provide, and his stereo rig was born. It’s the best of both worlds – the drive of the Silvertone, with the reverb of the Fender amp. He would often boost his amps with an MXR Micro Amp for added volume and grit when needed. White has used several guitars over the years, but his most famous is undoubtedly his 1964 Montgomery Ward JB Hutto Airline guitar. 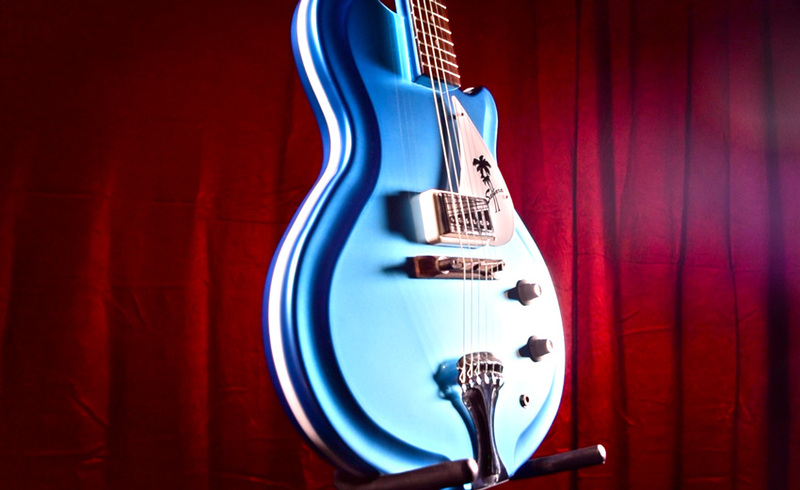 This guitar, made by Valco, was a hollow instrument made of a fiberglass material called “Res-O-Glas,” outfitted with two Valco single-coil pickups housed in humbucker-sized enclosures. Interestingly, the neck was non-adjustable and steel-reinforced, with no truss rod. In later years, a fan of his actually gifted him another of these guitars in a white finish. Another vintage guitar in White’s collection was a 1950s Kay archtop that he keeps tuned to open A for his slide guitar playing. This guitar made an appearance on songs like “Seven Nation Army,” “Death Letter,” and “Stop Breaking Down”. In 2007, he bought a rare 1957 Gretsch White Penguin guitar around the time The White Stripes were recording Icky Thump. He was drawn to it because it felt clunky and sounded like no other guitar does nowadays. For his solo albums starting in 2012 with Blunderbuss, White began using a blue Fender Highway One Telecaster with all of the hardware and bridge coated in white paint. He removed the neck pickup later and added a TV Jones Filter’Tron pickup in its place. For our video here at zZounds, we were able to put together a pretty awesome replica of White’s rig only scaled down slightly in wattage. We used an old Silvertone 1484, the smaller brother of the 1485 amp White preferred to use. The amp is rated at 60 watts, and we paired it with a Fender Vibrolux amp, close in nature to White’s Fender Twin Reverb amp he preferred to use. Any reverb used came direct from the Vibrolux amp itself. We wanted to feature the Silvertone’s drive tones, so we mostly used the amp’s natural distortion character, and boosted it with an MXR Micro Amp pedal to taste. You can hear the blend of these two amplifiers with the Micro Amp on our video during the song “Icky Thump.” The Electro-Harmonix POG2 pedal, an octave generator unit, made an appearance later in the song for the ascending riff set to an octave up, just as Jack used it on record. 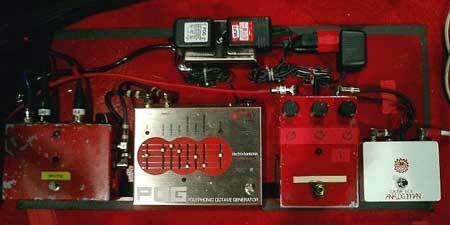 It turns out Jack White was potentially one of the first artists to place the Electro-Harmonix POG octave generator pedal on record. He was given a unit as a gift from EHX while the band was recording their 2005 effort Get Behind Me Satan, and used it on the classic White Stripes track “Blue Orchid.” Because of this, that riff stands out as a true power riff, with 4 simultaneous octave notes in total (one up, one unison, and one down) being heard. It’s necessary to place the octave effect after your Big Muff, so the signal that is modified is strong and full-sounding before hitting the octave generator. Check out how this sounds on our video, as it is a featured tone on the song. I later added in the vocal parts with a Whammy pedal similar to how he generally uses his for added flavor. My favorite riff we recorded has to be on “Lazaretto,” a kind of blues-funk riff that absolutely does not leave your head once you hear it. For this song, we introduced the Way Huge Russian Pickle fuzz pedal, a Big Muff-style clone that is a more refined version of the pedal. It still has just as much grime to it, but can be dialed in sharper for clearer tones. It also has quite a bit more gain and even more output than the average Big Muff does, and we capitalized on this for our recording of the song. For the rhythm parts, it was set relatively average in terms of gain, allowing us to get a nice crunch without too much gain saturation. The fun part came in when we hit the solo – we maxed out the gain and juiced the level controls up far enough that our amps were going into instant-feedback territory. This is actually crucial, because White is a big fan of extraneous noise in his solos. You can hear me subtly hit dead notes on purpose in order to capture his “slop” licks nicely. Don’t forget to add the Whammy pedal in with it set to an octave up, mixed low, so you get the full sound of the solo. Again, the signal chain needs to be set Russian Pickle > Whammy for it to work properly. Overall, the Russian Pickle pedal was a real treat to play on, and does what it claims to do. Stylistically speaking, Jack plays guitar pretty aggressively. My best advice if you wish to sound like him is to of course first have a Muff-style pedal and a Whammy and POG and you’re most of the way there. But you’ll need to then work on your vibrato – it’s really wide and fast – and address your picking technique. White actually favors attacking groups of notes with all upstrokes because he felt it gets more of a punchy tone to it. Experiment with that and you’re off to a good start. Don’t forget to learn some old-school bluesman licks and check out classic garage rock playing to get the full picture. Jack White is still staying busy these days, albeit in a different way. He is a record producer at his longtime label Third Man Records, as well a featured artist and collaborator on several large scale recordings. Though his own music output has slowed a bit in recent years, he is always waiting for the opportunity to capture a new moment of inspiration and follow it through. Because of his vision, White always aims to produce art that gives people something to talk about, so when the time comes for a new Jack White record, you best believe it will be something special. The greatest part, in my opinion, of a massively successful figure like Jack White is that he himself knows that there are literally no bounds to his own creativity, and that is a true sign of a living legend. “Sometimes I think I’m a simple guy, but I think the reality is I’m really complicated, as simple as I wish I was”. 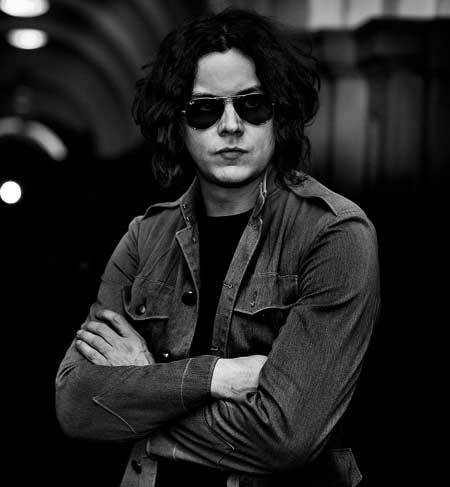 Even GOD herself could not keep up with this prolific creation that is Jack White.